2015 has not been quite the "Happy New Year" one would hope for as we were awoken on new years day by a telephone call to say my dear Mum was unresponsive and would need to go to hospital. 6 days, a lot of tears,hopes, coffee and miles driven later, Mum took a turn for the worst and a few hours later she passed away. Her poor body just couldn't take any more fighting. Her passing has left a huge chasm in my life and although I thought I understood she wouldn't last forever and she had been close to death on two previous occasions, I kind of thought she was like a cat with 9 lives and would beat adversity again! Sadly that was not the case this time. 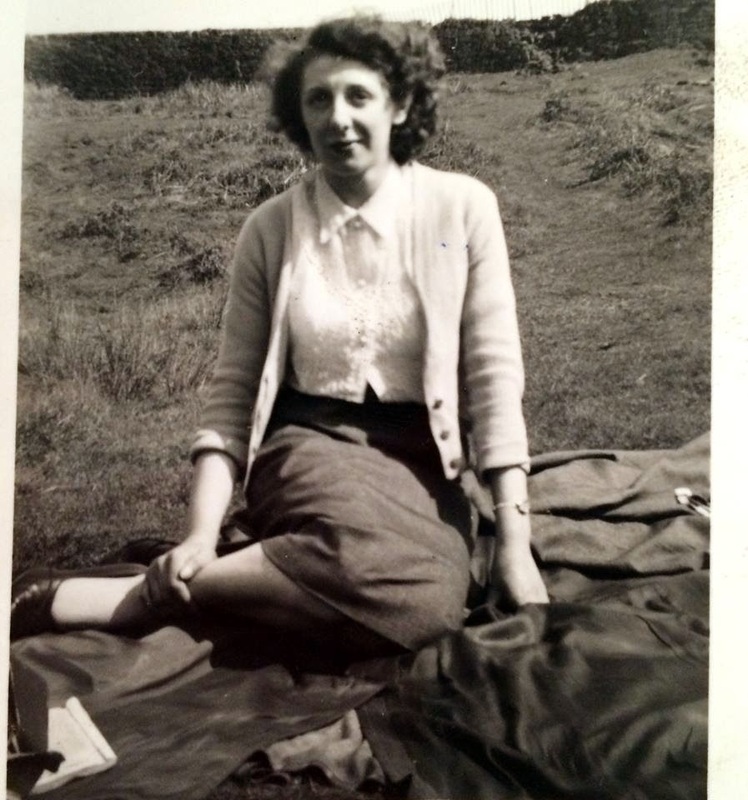 Mum was my first cookery teacher and as documented in my previous posts gave me my passion for baking. Her sweet tooth was legendary, Her top favourite foods were, cream cakes, prawns, toffee and scones with jam and cream! Her favourite Christmas present this year was a box of Ferrero Raffaello (coconut version of Rocher) her face lit up when she unwrapped it! (Her response to other gifts was less warm and best left undocumented, Mum would always tell you what she thought!). Sadly she didn't get chance to finish them so Master Vander-Cave has been munching his way through them. Mum loved coconut flavours and as a bit of a wander down memory lane, whilst we await being able to give her a final send off, I made a Compton Tart. This was one of my childhood favourites and one of mum's favourites too. 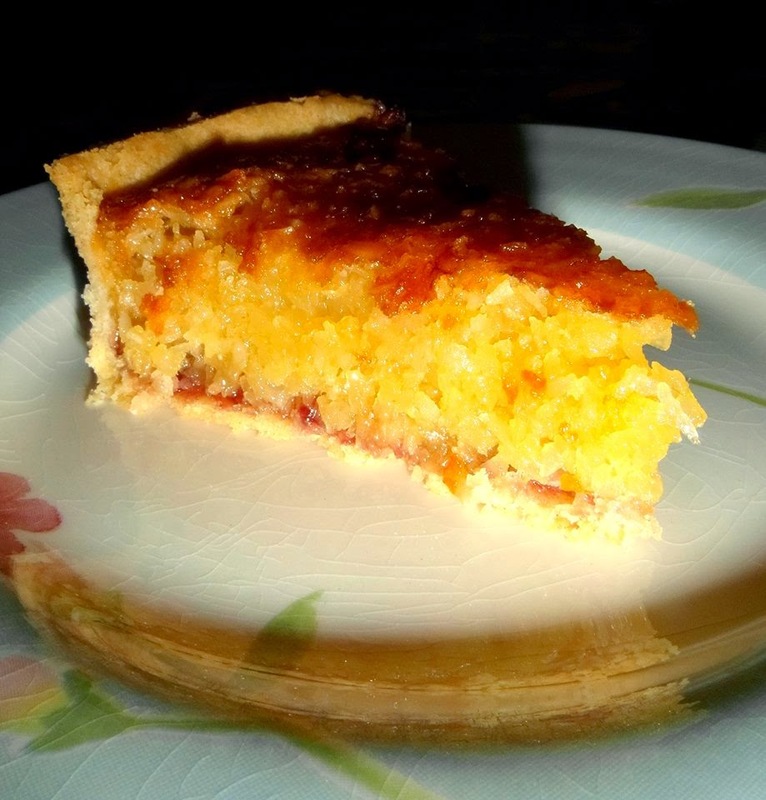 Just making this tart gave me such wonderful memories of my childhood with my mum. I will definitely be making more of Mum's old recipes in the coming weeks and months. This recipe was written in Mum's handwriting in a tatty old note book which has now become one of my most prized possessions. Apologies for the imperial measurements but I want to give you this recipe in all it's 60 year old glory! Rub the butter and Trek into the flour until fine breadcrumb are formed and the fats are well distributed. Add water a table spoon at a time mixing the water in using a flat knife. (I admit I cheat and use my food processor with metal blade attachment) until a soft dough is formed. Wrap pastry in clingfilm and place in the fridge for 30 minutes to rest. Grease a 7 inch flan tin or sandwich tin with loose bottom. Roll out pastry and line the tin with pastry. I use grease proof paper and ceramic baking beans to stop the pastry puffing up. Alternatively prick the base of the pastry all over with a fork. Bake blind for 20 minutes. Allow to cool before filling. Now lower oven heat to 170c. Whilst the pastry is baking make the filling. Melt together the butter, sugar and syrup in a pan over a gentle heat. Once melted allow to cool. When the mixture has cooled slightly add the coconut and egg and stir well. Once the pastry case is cooked and the filling made, spread the jam over the base of pastry case adding more jam depending on how jammy you like your tart. Spoon the filling over the jam and smooth with the back of the spoon. Bake for 20 minutes until golden brown on top. I didn't want to just read and run. I never had a proper Mum. She abandoned me when I was a baby and I didn't see again until I was married. I had a whole series of failed foster placements before being sent to a Children's Home. But you have lots of happy memories of your Mum and I know she wouldn't want you to be sad that she had died. "How I survived in and out of Care" is the book I wrote about those first years of my life.